I was intrigued by the concept of scent intertwined with literature, so I recently tried out some fragrances from Imaginary Authors, an American indie line begun in 2012 by perfumer, Josh Meyers. 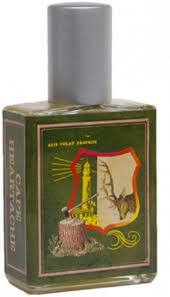 Today, the focus will be the new 2013 scent, Cape Heartache, followed by The Cobra & The Canary. In a follow-up post, I’ll briefly cover Memoirs of a Trespasser, and Soft Lawn. According to its website, the Imaginary Authors line was “born from the concept of scent as art and art as provocation.” Each fragrance is entitled with the name of a book, penned by an imaginary author who does not actually exist. All the fragrances are eau de parfum in concentration, and the vast majority were released in 2012. I have absolutely no idea what “Old Growth” and “Mountain Fog” are supposed to entail as specific ingredients, but I can tell you what is missing from that list: ISO E Super or, as one of my readers accurately calls the cheap aromachemical, “ISO E Supercrappy” (™ SultanPasha). It’s there — and there is a lot of it! I tried Cape Heartache a number of time, and the first time, I scrubbed it off after 10 minutes. Three sprays gave me so much ISO E Supercrappy that I had the most enormous migraine imaginable, complete with red-hot shooting pains through my eye and drilling in the back of my skull. As regular readers will know, I am sensitive to certain synthetics, but they don’t affect me physically unless a huge amount is used in the fragrance. Cape Heartache, like all of its siblings, is painfully synthetic, and filled with cheap aroma-chemicals. Sadly, it is not even the worst of the lot. The fourth time I tried Cape Heartache, I carefully applied less, and I had an easier time of it so long as I never actually smelled my arm up close for any significant amount of time. Obviously, that makes writing a detailed review well nigh-impossible. Even apart from the ISO E, however, I disliked the scent so much, I still scrubbed it off after a couple of hours. However, I’m nothing if not determined, so I finally took two Tylenols ahead of time, avoided excessive application, and forced myself to get down to it. Thanks to the paracetamol, instead of being torturous, I merely find Cape Heartache to be a nauseating, cloying, linear, discordant scent. Cape Heartache opens on my skin as strawberry shortcake and pine. 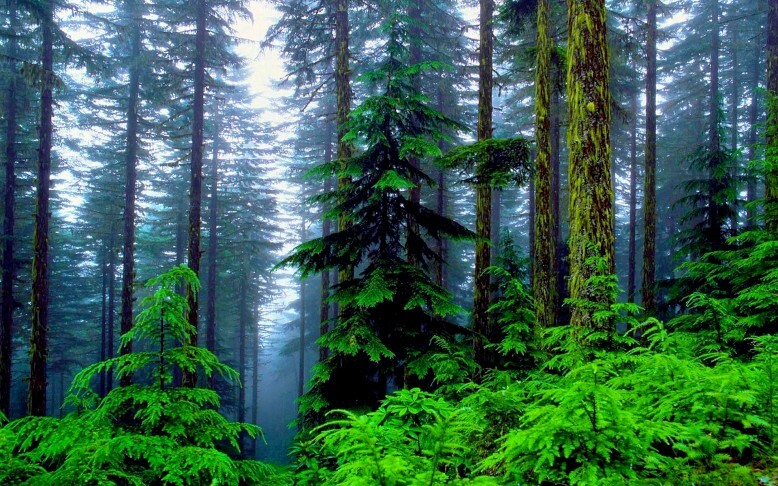 There are the crisp needles on the forest floor, sweetened pine resin with brown sugar, and buttery, slightly floured, strawberry shortcake biscuits. Seconds later, ISO E Supercrappy follows, smelling like antiseptic toner, typewriter cartridge fluid, and chilled, metallic, peppered chemicals. It grows increasingly strong, adding an industrial bent to the cloying, sweet, top notes. I assume that the ISO E is intended to evoke the “mountain fog” mentioned in the notes, and it certainly does add a note of icy, thin chilliness. It also gives me a painful tightening in my nose at best, and a ferocious, almost crippling migraine at worst. Cape Heartache’s dominant bouquet is a massive, walloping, thick spread of strawberry jam infused with pine resin. The fruited element has an undertone of floured, buttered bread, and it makes me think of the children’s cartoon, Strawberry Shortbread, as well as the Cabbage Patch dolls of the 1980s. I refuse to think of Serge Lutens‘ Fille en Aiguilles, a glorious scent to which a number of people find similarities. It would be a travesty to compare the bizarre Imaginary Authors version with Christopher Sheldrake’s masterpiece. Plus, there are differences between the two scents: Cape Heartache has very little smokiness as compared to the Lutens, and its heart is not darkness but strawberry jam, flour, and butter. There is no cheap ISO E Super in the Lutens, the fruited element is different, and the sweetness stems from different things. I can’t wrap my head around Cape Heartache, and it doesn’t help when a touch of vanilla joins the wholly discordant hodge-podge. Cape Heartache turns softer, sweeter, and less heavily piney after ten minutes, though the typewriter toner fluid of ISO E Super continues to thrum away. During one test, its peppered, prickly, spiky tones completely overwhelmed the strawberry pine, while on another occasion, the synthetic stood more to the sidelines. The quantity that you apply clearly makes a difference. After an hour, Cape Heartache is a blur of strawberry and pine resin, with fluctuating levels of vanilla and floured, buttered bread nuances. The scent never changes from its core essence, remaining in one linear line until its end almost 11.5 hours from the start. The sillage was soft after the second hour, though the fragrance was strong when smelled up close for quite a number of hours afterwards. I could not bear Cape Heartache, but I’m in a distinct minority on that point. 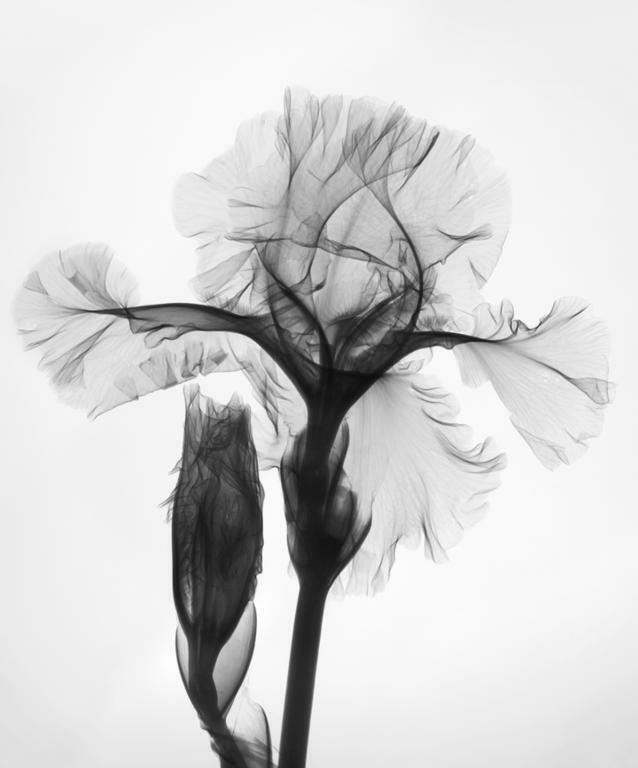 The blogosphere is filled with joyous raves about the scent, and how it’s perfect for winter. Perhaps if you have a fondness for strawberries, pine, and very sweet scents, along with total anosmia to ISO E Super, you may enjoy it. I would never recommend it, though. NOTES: Lemon, Orris, Tobacco Flowers, Leather, Hay Fields & Asphalt. It’s a lovely story, but The Cobra & The Canary was hell on earth for me. I mean it. The fragrance is laden with a cheap aromachemical that made me feel as though I’d been punched in the nose, had a scalpel scrape off the skin inside, and had a bloody nose. I have never had that reaction to a fragrance before, and it’s been a while since I experienced genuine physical pain in sniffing a fragrance. Each and every time. The degree of the painful rawness that The Cobra & The Canary triggered in my nose makes me wonder if the fragrance has Norlimbanol, an ISO E-like cousin from Givaudan’s stable of aromachemicals that has an incredibly dry feel, and is used to recreate a leather nuance. The note in The Cobra & The Canary doesn’t smell identical to the Norlimbanol that I’ve encountered it previously, but the scent has dryness to a massive, sharp degree and there are also moments a few hours into its development where there was a definite ISO E-like tonality. It’s undoubtedly something related to Norlimbanol, but whatever the actual synthetic may be, I felt actual, genuine physical pain every time I sniffed the scent — and I’ve tried it a few times. The first time, I had such a sharp pain in my nose and behind my eye, I had to scrub it off almost immediately. The next few times, I lasted a bit longer, but not by much. I finally gave it a full test, but my nose had to recuperate for two days afterwards from the metaphoric skin scraping. 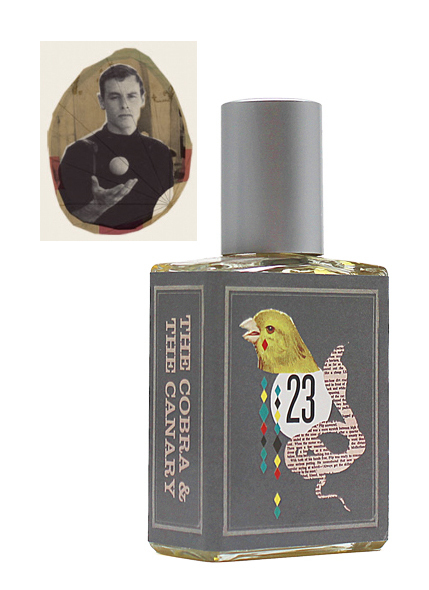 The Cobra & The Canary opens on my skin with sun-sweetened lemon and dry, chemical synthetics. There is a floral element that vaguely resembles iris, but more frequently smells like a combination of lemony linden blossoms with a touch of narcissus. There is a subtle whiff of blackened leather and hay lurking underneath in these early moments, but it was hard to detect under the tsunami of synthetics. Initially, the latter merely smelled dry, but it soon transformed into a stronger tarry, rubbery note like the dry blackness of an asphalt road on a scorching day. The Cobra & The Canary’s olfactory list mentions asphalt, along with leather, and they’re definitely both there. As a whole though, the fragrance’s overall bouquet in the first minutes is of lemony florals with sweetness, a touch of hay, a subtle whiff of tarry leather, and an arid aromachemical. The Cobra & The Canary starts to shift after 15 minutes. The lemon note begins to fade, and is replaced by a more prominent orris butter aroma. Something about the iris’ undertone in combination with the other notes evokes an industrial cleaner, along with carpeting in a sterile office. The leather element grows increasingly strong at the same time. It’s blackened and dark, with rubbery undertones akin to birch tar, though it lacks the diesel or smoky undertones of a truly birch-based creosote. Instead, it smells more like rubber latex, and is infused with the scratchy, sharp, synthetic aridness. By the start of the second hour, the synthetic leather has taken over much of The Cobra & The Canary, followed by the iris butter and the smell of industrial cleaner. Trailing behind in last place is the first suggestion of a soft suede with the tiniest hint of something powdery. Over the next few hours, the leather and the Norlimbanol-related synthetic slowly give way to the iris butter. The Cobra & The Canary turns into an iris butter scent, with a touch of powder and a tarry, rubber latex edge by the middle of the 4th hour. The industrial cleanness replaces the dry arid, asphalt note as the dominant chemical, but both are much more muted than they were initially. Still, they hover under the top notes, giving me the feel of a nose bleed each time I smelled the fragrance up close. Eventually, The Cobra & The Canary turns into a dry, powdered iris suede scent with greyish, industrial-smelling cleanness and general dryness. By the end, it’s a vague blur of something iris-y with that industrial signature. It lasted well over 12.5 hours on my skin, by which point, I’d had enough of the bloody thing and washed off the final traces. I realise that I am more sensitive than most to certain synthetics like clean white musk, ISO E Super, Kephalis, and Norlimbanol. 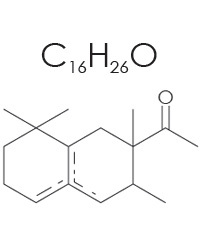 Aromachemicals usually have much larger molecules than other olfactory ingredients, which explains some of my reaction. This degree of pain, however, is pretty rare for me. It’s been more than 24 hours since that last test of The Cobra & The Canary, and the inside of my nose still feels a touch raw and bruised. Experiencing actual, physical pain from perfumery never puts me in a good mood, which is why I’m going to eschew my usual approach to reviews. I normally try to include other people’s experiences, both positive and negative, to give a full, comprehensive picture of a scent. I don’t care enough to do so this time. Suffice it to say that Imaginary Authors has its fair share of admirers, and I seem to be in the minority. I also seem to be far from the target audience, as I don’t enjoy the chemical signature that I detected in all the Imaginary Author scents. Unlike some, I don’t consider the heavy use of intense synthetics to be appealing, revolutionary, or creative perfumery. Perfume tastes and reviewing are inherently subjective, personal matters. For me, all the Imaginary Authors fragrances that I ordered and have tried (which is half of the line at this point) are terribly cheap in smell, synthetic, simplistic, unpleasant, and largely linear. The perfumes cost $85, so they can hardly be filled with expensive oils and luxurious essences, but I am not judging them by the standards of an Amouage scent or something three times the IA price. (Plus, I’ve certainly given plenty of bad reviews to Amouage, Puredistance, Kilian, Armani, Serge Lutens, and other expensive lines for using cheap aromachemicals.) I’m judging Imaginary Authors in a vacuum, with each as an individual creation. And none of the scents is my personal cup of tea. There are plenty of people who like The Cobra & The Canary, and I know for a fact there are tons who absolutely worship Cape Heartache. I’m glad it works for them. Cost & Availability: Each of the fragrances is an eau de parfum that comes in a 60 ml bottle that costs $85. You can purchase them directly from Imaginary Authors, with the following direct link for Cape Heartache. The company also offers a sample service, where each fragrance costs $6 per vial with the full set of 8 priced at $35. Imaginary Authors’ full line is carried by several Portland retailers, along with Parfums1, which ships overseas, though at a high price. The line is also carried at Brooklyn’s Twisted Lily. You can find other US vendors, along with some Canadian ones, at Imaginary Authors’ Stockist site. There are no European retailers listed. Samples: you can find samples of Cape Heartache at Parfums1, and Canada’s Italian Barber which sells a 2 ml plastic vial for $4.50. Surrender to Chance sells Cape Heartache for $4.25 for a 1 ml vial, along with several other scents from line, including Soft Lawn, The Cobra & The Canary, and Memoirs of a Trespasser. This entry was posted in Fragrances, Imaginary Authors, Leathers, Perfume Review, Woody Fragrances and tagged Cape Heartache, Imaginary Authors, Josh Meyers, perfume review, The Cobra & The Canary by Kafkaesque. Bookmark the permalink. I know I can always rely on you Kafka to give a thorough, honest and insightful appraisal of fragrances and to cut through the hype hogwash that draws so many in. Thank you. I have found your recommendations – Chypre Mousse, Acqua di Sale, Psychedelique, etc. – to be spot on and sure winners for me. Keep bucking the trend :). Thank you, Jane. That means a lot to me, perhaps more than you can know. I fear this review will not be a popular one at all, but that’s life. Perfume is all a matter of personal tastes and subjective opinions. Still, I really appreciate your kind words. I don’t think it matters whether you agree with the crowd or not. Most importantly is that you speak your truth, as they say. You’re an invaluable resource and I value what you have said. LOL at the Tylenol comment. Thank you for your kind words, Holly. And do let me know what your experience with Cape Heartache is like. I certainly will. I’m kinda dreading it, lol. Maybe a drink or two will be included in my preparations. Kafka, once again I find to my delight we have the same tastes and similar experiences! I really wanted to like Cape Heartache, but on me it was children’s cherry cough syrup. I can’t decide if “children’s cherry cough syrup” sounds better or worse than strawberry shortcake jam and pine needles. 😉 I’m sorry it didn’t work out for you either, but rather glad of the company in this little outpost in Siberia. lol. Hugs, and thank you. You have NO idea how much of a relief it was to read this, in a strange way (though of course I’m sorry to hear you had such a hideous experience!). I’ve tried many times to like this line and I just can’t. Cape Heartache was just sort of blah to me – I don’t hate it, but I would never choose to wear it and wouldn’t even buy a sample, let alone a bottle. The Cobra and the Canary was one I thought I’d like but was aggressively gross on me. “The fragrance is laden with a cheap aromachemical that made me feel as though I’d been punched in the nose, had a scalpel scrape off the skin inside, and had a bloody nose.” This is such a perfect summary! I don’t know if you meant it literally or figuratively, but there is something bloody about this one that makes me queasy. I’ve tried it a few times, too, and get grossed out each time. I know this line has a lot of fans and try as I might to like it, I just haven’t loved anything from it. I do like The Soft Lawn, though. Kevin do you think it’s all that asphalt? For me it was a total deal breaker because it obliterated all the other notes. I was so disappointed. It might be, Vicki! I really like Lonestar Memories, though and I believe it also has an asphalt-y note. By experiences with the two are quite different (although I think perhaps they are very different generally, despite that common note). In all fairness, it’s been a while since I’ve tried it so my memory is hazy except to say that I didn’t like it any of the 3 or 4 times I tried it. Your reaction to the asphalt definitely makes me wonder if the synthetic in question is Norlimbanol, because it is one of the super-potent ones which pretty much takes over a fragrance. It’s a hundred times stronger than ISO E Super. I have friend who is totally anosmic to ISO E Super and doesn’t suffer from it at all, but Norlimbanol is his kryptonite. Whatever the precise chemicals in The Cobra & The Canary, they are certainly there in a LARGE quantity…. Maybe Kafka. Either way I am seriously rethinking synthetic anything in my fragrances whether or not I’m anosomic to them. You don’t know how much of a relief it is to read YOUR comments, especially about The Cobra & The Canary. It was very aggressively intense, more so than Cape Heartache on me which was merely a hot, discordant mess. As for my summary and the bloody nose, I meant it figuratively for the most part, but I do know *exactly* the note you talked about. There was an oddly metallic note underlying the synthetics that felt like the sort of metallic way blood feels in your mouth when you’ve bitten your lip or the inside of your cheek. 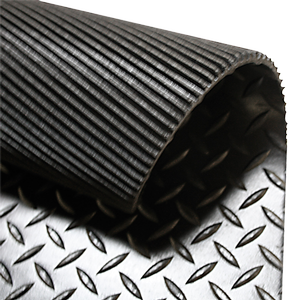 There is something about the synthetics used for the leather or the asphalt that goes beyond arid dryness, dustiness, or rubber latex. I get the asphalt on the Cobra and the Canary too. It’s not just you Kafka (though maybe I am anosomic to ISO E Super because I loved Cape Heartache and didn’t expect to). I have 2 IAs in FB, may get one more but won’t be with the rest. You are definitely one of those fortunate enough to be anosmic to ISO E Super, Vicki, as I know you love a number of fragrances with the element. Not just your beloved Cape Heartache and Soft Lawn, but Ashoka has it too. Not in the same quantities as Cape Heartache though. I envy all the people who are anosmic to ISO E. My life would be much easier if I were more immune to it. 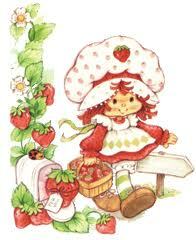 LOL at the Strawberry Shortcake dolls! 🙂 The hair was super cool, wasn’t it? I liked the little plastic, 3 inch high figures with crazy pink or purple hair, though I can’t recall what they were called now. Kinda like little Gremlin people, if that makes any sense. 4 headaches on 4 consecutive tries pretty much is a correlation in my view. It sounds like you can take ISO E Super in relatively typical quantities, but not in the amount used here. I’d be curious to see how The Cobra & The Canary would work on you, since the aromachemicals in that one made Cape Heartache seem almost like a breeze…. Seriously, there was a time during one of my tests of C&C where I was almost missing the relatively easier pain levels of Cape Heartache. LOL, as bad as C&C was for me, I found Bulls Blood to be even more offensive. I’d stay away if you value your nose, especially given your reactions to the 4 you did try! Lord, steaming placenta and squirting manure! So…vivid. Sadly, so accurate (though admittedly I’ve mercifully not smelled placenta, steaming or otherwise). I have to do it: more like Cape Headache. Gabriel, thanks to you I will always think of it as Cape Headache. I consider myself very lucky that I do not have this hyper-sensitivity to some of the synthetics when smelling them. I do get rashes from some perfumes, but not too many. I am afraid that I have yet to find an IA that I like. Cape Heartache was all pine sol and cherry merry muffin on my skin. I know there is a huge Heartache following out there, and this review takes some balls to post. I am curious to read the comments after a few days. I am glad for honesty, always. Sometimes honesty does hurt a bit. “Pine sol and cherry merry muffin”… haha, the merry part makes it sound actually a bit fun. Joking aside, I’m glad you don’t have my sensitivity to aromachemicals. I actually wish I didn’t have it at all, since it would make reviewing a lot easier. I didn’t enjoy writing this review, because I always want indie perfumers to succeed. But just because a line is Indie doesn’t mean that the perfumes work for everyone or that they smell good. At the end of the day, there are enough gushing reviews for IA (and Cape Heartache in particular) out there that one dissenting view may not make much of a difference or hurt them. And $35 for samples is still $35 that a person may regret spending if they have an experience closer to mine than to those praising IA to the moon. Cherry merry Muffin was a doll my daughter had in kindergarten. It was a little plastic doll with a huge red hoop skirt which could be inverted, the doll collapsed inside it and the whole thing became a muffin. A disgusting cherry/strawberry scented Plasticine goo smell, emanated from this thing. Even though this was more than 20 years ago, I can still shudder at how this doll smelled. I preferred her ‘my little pony’!!!!!! It turned into a muffin??! The doll? With a Plasticine cherry/strawberry scent? Oh God, it sounds terrible. But thank you for the explanation, as your comment now makes perfect sense to me and I didn’t get the reference earlier. lol. You know, this has just made complete sense of something I never quite got before – I used to have a workmate who would come in and announce happily “well, I’m Cherry Merry Muffin this morning, how are YOU?” I thought this was just something bizarre she had coined. At last I understand, so thank you for that Tora! This is the first time reading your reviews and I have to say it was a pleasure! I really enjoyed seeing your perspective on this line. I have not smelled Cape Heartache yet, though I have sampled The Cobra and the Canary. I had a quite different experience as I found the whole composition pretty easy going and relaxed. It even evoked the image of a pastoral atmosphere in my mind’s eye. Perhaps I’m not very sensitive to some of the aroma chemicals you’ve mentioned, as it didn’t really bother me in that sense. I would give TCC a lukewarm thumbs up, 6/10. I think the best fragrance in their line is Memoirs of a Trespasser. At the same time, there’s something about Imaginary Authors in general that feels very amateurish to me. I was recently having a discussion about what it means when a perfume is “well-blended.” I think Imaginary Authors is a good example of perfumes which are not. Place another Hay/Leather combination like Cuir Pleine Fleur and test it next to The Cobra and the Canary and the difference becomes apparent immediately. Enjoyed your honest review, hope your nose recovers! It sounds like you’re anosmic to aromachemicals, which is great. I envy you. 🙂 But “pastoral” for The Cobra & The Canary??? It seems as though you experienced a lot more iris than rubbered leather, and probably no “asphalt” chemicals at all. Memoirs of a Trespasser didn’t work for me, and is actually the focus of the next review. (Well, mini-review.) For me, the guaiac was the main issue there (along with the chemical signature), but, again, I’m obviously much more sensitive to synthetics than the vast majority of people out there. Interesting point about whether IA is “amateurish,” and whether that is a function of the fragrances being well-blended or not. I do think that the fragrances feel “amateurish,” to use your word, but for different reasons than you. For me, it’s an issue of the notes and the attempt to put together discordant elements for the sake of being different or unusual. For some, that may make the fragrances more “cutting edge” or revolutionary, while for others it seems more like inexperienced experimentation by an amateur. Who knows? It’s all a question of perspective and subjective opinion. I appreciate people who try something different, but that doesn’t always mean the final outcome works. And, for me in particular, the use of heavy, industrial super synthetics is pretty much a deal-breaker, no matter WHO uses it. It could be Roja Dove and Serge Lutens, and I’d still give it a negative assessment. In fact, the most recent Serge Lutens bell jar creation, La Vierge de fer, got a blistering review from me for using massive amounts of cheap synthetics (common, inexpensive white musk and metallic aldehydes). OK,I won’ t bother chasing these ones then.It’s not like I was terribly pushed anyway.I’m on European land and it’s getting harder to buy stuff from America ,due to shipping charges and taxes.I was slightly curious,particularly due to to the hype surrounding Cape Heartache at the moment,but now I’ve lost all interest.It’s not that I can’t handle syntethics,I can and you know I adore Dzing! and Rien.But these are two darn interesting fragrances,not Pine sol cherry muffin type of concoction. Speaking of cherry notes, I am unable to tolerate many womens’ scents from Middle Eastern lines because on me they are dominated by what I think of as the “screechy cherry” note, a high thin cherry scent that I just despise. I don’t smell it out of the bottle, but within a minute of getting it on my skin, the strident cherries start screaming for attention. It might be meant to be an almond note. It was overwhelming to me in Noora, which I had to scrub, viciously strong in the two floral Al Rehab scents that I had a chance to sniff, and noticeable enough to be unpleasant in Ghroob, although I don’t think that others noticed a cherry note in that one. I assume that it is some aromachemical “almond” that I have an unusually sensitive nose for. Do you have any idea what it is? I once spent a LOT of time on the Perfumers Apprentice site, going through all their aromachemicals. There are a lot of things intended to create the almond smell, as there are for every sort of note. So, I don’t know which aromachemical may be the one causing you problems. It’s interesting about the almond-cherry connection, given how the issue of the pits and some of the Lutens cherry fragrances taking on a strong almond aroma. I haven’t tried a number of the fragrances you’ve mentioned, so I’m sorry I can’t be more help. I have a sample of Raghba somewhere, but haven’t tested it full and thoroughly yet. Oh my gosh, I’m so relieved to read your review! After all the great notices out there for the line I ordered some samples and just found them unwearable. Your analysis has helped me put the finger on why. I’m quite regretful about this as I loved the overall concept, loved the ideas for all the books, wanted to love the IA line but have ended up burying my samples at the back of a rarely used shelf because I can’t even bear the odor that surrounds the vials. Thank you for the validation! I think part of the issue is that it’s a vicious circle. I think a lot of reviewers are very hesitant to give a negative review to a very small brand, especially if the reviewer is popular and holds a fair amount of weight in the community. I completely understand that hesitation, but it has the unwanted result of making only the glowing reviews visible (which is good for the perfumer, but not good for the public looking for balanced opinions). I definitely understand that “less crazy” feeling. I often feel as though I’m completely alone in my reaction to some perfume houses or fragrances when I read the huge hype or raves elsewhere, so it’s been quite a surprise to me that — in this case — a few others had some problems too. And, as you noted, $35 for a sample set can be a fair expense for someone, depending on their budget. I have more from the line than the next two I’m going to cover, but I’m afraid I’m unwilling to go through the experience of testing them for the sake of having a counterbalancing view. Maybe in a few months when the trauma won’t be quite as fresh in my mind, because, seriously, the perfume really DID destroy my nose for a few days. Posting negative reviews sometimes provides a lot of credibility. How annoying when a blog always says positive things about everything…if you’re trying to provide an guide to a topic. You write often and on many scents. On my blog, I mostly write about books – which take a long time to read. I don’t finish the books I don’t like thus can’t really write reviews. Totally different thing! I write a lot less! Or, I clutter it up with other topics. You write mainly about scents and often. You can’t like it all! I love this review!!! I’m glad you appreciated the review, MeganLisa, and thank you for your kind words. I actually write a lot of negative reviews, but it isn’t pleasant when I have to write one for an Indie line. One wants to be supportive. After all, it’s not like writing something negative about Tom Ford which is backed by the behemoth, Estée Lauder, or like criticizing a Roja Dove scent that costs $400+. Unfortunately, in this case, the massive amount of hype and praise for Imaginary Authors didn’t match my own experiences, and the amount of actual physical difficulty I experienced made this review pretty necessary. I may be significantly more sensitive to aromachemicals than most people out there, but there are a handful of people like me. So…. Too bad you had such awful experiences with these. I really dig their packaging. Their packaging is cute, and the whole story concept is wonderful. I had the same experiences with these, ugh, bad memories… I’m sorry you’ll have similar bad memories now as well. Definitely a lot of bad memories. 😦 I’m going to write up the last 2 I tested, then leave the rest of my samples alone. I truly don’t think I have the endurance and pain tolerance to go through what is necessary to test them. The only perfume I tried from Imaginary Authors was Memoirs of a Trespasser and I must say I really liked that one. That said, I’m pretty anosmic to Iso E but I’m not to clean, white musks (I shudder just thinking of those as they kill my sense of smell). Clean white musk definitely can be terrible. Do you get massive headaches from it, Ines? You may want to stay away from the new Lutens bell jar fragrance, La Vierge de Fer, because the white musk in that…. I sniffed most of this line at Sniffa and thought The Soft Lawn was okay until the tennis ball note took over. Most of the line left me unimpressed but I did like Cape Heartache. I get more pine and resin and the strawberry is only strong for about 10 minutes before it recedes to an acceptable sweetness. Sorry that one didn’t work for you. I do remember really not liking The Cobra and the Canary. I thought it was because my nose was worn out by that point in the day but after reading this my guess is it was just not for me either. It’s funny how we like a lot of the same scents and then there are a few that we differ on a lot. We’re sensitive to different things I guess and I’m sure skin chemistry has something to do with it. Skin chemistry plays a huge role in things, I agree. In the case of IA, I think anosmia vs. sensitivity to aromachemicals may play an equal role. I’m glad the strawberry element in Cape Heartache wasn’t very strong or sweet on you, and that it receded after about 10 minutes. I think that would improve the scent, more than if it were primarily Stawberry Shortcake and pine. lol. As for The Cobra & The Canary, if it’s not the super aromachemical, Norlimbanol, that is in it, there is definitely something strong enough that even some people anosmic to things like ISO E Super struggled with the scent. I appreciate these reviews too. I haven’t smelled any IA scents, but I have had the experience of feeling like a perfume was scratching the inside of my nose out, and the experience of not really getting on with the majority of a line that gets a lot of love from other people. In my case the line is Atelier Cologne. I’ve tried nearly all of them (with the exception of Silver Iris and Gold Leather) and the only one I actively like is Sous le Toit de Paris. I detested Oolang Infini, which unfortunately was the first of the line that I tried – I wonder if that might have influenced my later thoughts on the line. Anyhow, I tried Oolang Infini because I am usually a fan of tea notes in fragrance. This one, however, smelled mostly of photocopy fluid to me – harshly chemical to the point of pain. The others are not that bad, and I don’t think I’m particularly sensitive to synthetics in perfume, but there is something in a number of the Atelier Colognes that I really don’t get on with. Hi, Sarah K. Welcome to the blog. 🙂 I’ve tried a few things from Atelier Cologne, and I’ve struggled with them for similar reasons. For me, it’s the clean white musk that seems to be a signature to the colognes. They want to have something fresh and soapy to create a cologne-like crispness in the base, and the white musk is key to creating that sort of impression. It kills me, and I get pretty bad headaches from things like Mistral Patchouli and the like. I haven’t tried Oolang Infini though, so I don’t know if that one has the typical white musk as well. “Photocopy fluid” sounds like one description of ISO E Super, I’m afraid. Hmm, I wonder if they used that as well? Have you experienced difficulties with clean, white musk in fragrances from other houses? Have you tried fragrances known to have ISO E Super, like any from Ormonde Jayne or some other brands that are fond of using it? Well, I’d never got a headache from a fragrance, as far as I recall, but there is definitely a common note in most of the Ormonde Jaynes that I really do not like at all. So that’s another house that I thought I’d love, since everyone else seems to, but didn’t. None of the OJs were anywhere near as bad on me as Oolang Infini though. There is something similar in Coco Mademoiselle and Chance Eau Tendre, both of which make me feel vaguely sick. I’ve never identified the note as such, but after reading your list of houses that like to use it, I wonder if perhaps it is ISO E Super that I have a problem with. Though I am a big fan of the original Coco and more than half the Chanel Exclusifs, so I certainly don’t hate everything that Jacques Polge does. I wonder if it is also in Vanille 44 or Gaiac 10. They share a similar ‘gritty’ note on my skin that makes me feel ill.
Chanel’s Chance Eau Tendre has ISO E Super, as do many (MANY!) of Le Labo’s fragrances. Rose 31 overwhelmed me with it, if I recall properly. I haven’t tried Chanel’s Coco Mademoiselle, but I wouldn’t be surprised if that one has it too as many of the commercial, mainstream Chanel florals use ISO E Super. The original Coco in vintage form didn’t have it, and neither do some of the Exclusifs. For me, the ISO E Super headaches depend on how *MUCH* of the aromachemical is used. I may not enjoy it in any quantity, but I only get serious headaches if the amount is huge. Thanks to you it sounds like I’ve found my culprit. I don’t know the Parfumerie Generale or Montale lines, but suddenly I’m not that bothered about that! On the other hand, while I find some of Andy Tauer’s works rather too heavy on ‘chemical’ notes to want to wear them (including the legendary LADDM), I still admire most of them, and several of them I like a lot. So I guess, as you have said, it must depend on how the note’s been used (or abused). I’ll refresh your memory and clarify I got Cape Heartache in a Olfactif “Best of” gift set. This does not bode well …. I spritzed lightly two hours ago. Opens with sugar-free undiluted strawberry Koolaid mix, sniffed out of the package, powder crystals inhaled unintentionally and difficult to dislodge. Vague memory of large grubby pencil erasers. Possibly some sort of automotive effluent, or the combination of that and skid marks (the kind from trucks) appears after 30 minutes. Is that the asphalt aspect others mention? 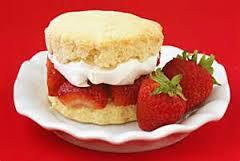 Somehow the strawberry is lingering in my nose, but I suspect not on my skin. Now I smell dessicated pine needles, not fresh pine. Like when you’ve vacuumed after the Christmas tree is on the curb. If I have anything more articulate to report after a few hours, I will. Regardless, this is a definite no for me. I will happily pass it on in a freebiemeet. If you have any interest or time, perhaps you could direct me to a source that could clarify what ISO E Super smells like, or what the experience is. I’ve got to learn about that, and aldehydes. The automotive effluent would be the ISO E Super. That is how your nose is translating and filtering the smell through the rolodex of scents in your memory banks. On me, the note in Cape Heartache was more like typewriter fluid, but it’s pretty much the same thing. Some version of an industrial-like, chemical note. Sometimes, ISO E Super smells like astringent, acne facial toner; often is simply very, very peppered and prickly, with dryness; sometimes it takes on an oud-like facade; occasionally it’s like pink rubber bandages, and once in a while, if a lot is not used, it’s just a vague, woody, buzzing hum. There is a link within the Cape Heartache review to a post I wrote which details more about ISO E Super, and the different ways it can appear to people. Some people smell absolutely nothing at all, lucky dogs. The asphalt note was not in Cape Heartache, but in “The Cobra & The Canary.” In my opinion, the note stemmed from a similar sort of aromachemical, but one that is infinitely stronger than ISO E Super. Yes, there are super synthetics that are infinitely more potent, focusing on a super dry, woody aridity. 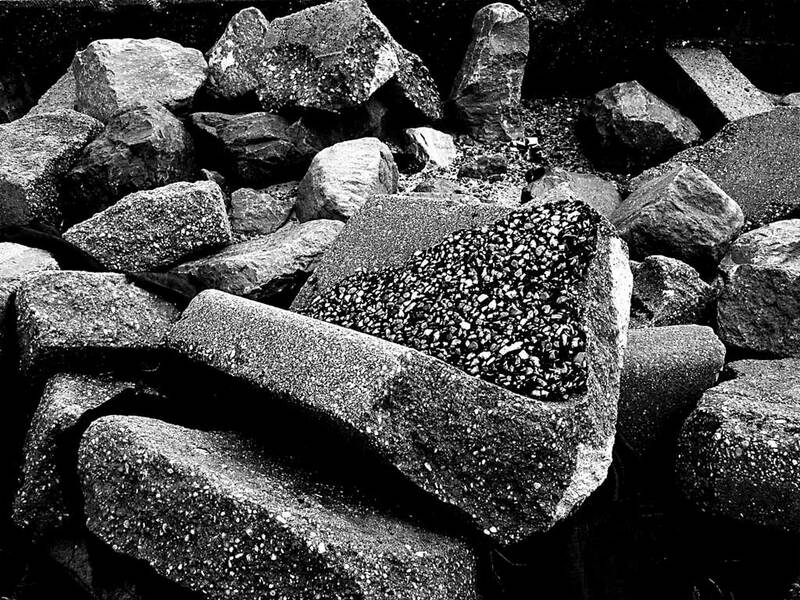 It sounds to me like your skin turned the ISO E Super aromachemical super dry, to the point that it sucked out the cloying sweetness of the strawberry and turned it into powdered Kool-Aid crystals on you. It also turned the pine needles dry, instead of something closer to sweet pine sap/resin. Either way, not good. lol Just imagine what would have happened if you had sprayed on a lot of Cape Heartache. Thanks! Cape Heartache has not evolved past the one hour point on me AT ALL. I did sense something after the initial strawberry blast. I found it “interesting” but not something I need to pursue as it leads to nowhere I want to go.
. I actually think of powdered Kool-Aid as being extremely sweet and chemical and my experience with CH is that it feels like a powder I’ve inhaled. I also feel the same way about dessicated pine needles. To me, the slightly rotting note is far sweeter than the sap/resin note, and I don’t always object to that. In fact, most of the time I find that slight discordance to enhance my experience. I’m now wondering if this is what perfumers are creating to overcome the IFRA restrictions that are imposed. Interesting. You will have to let me know how your further explorations with ISO E Super go, and if you have similar experiences with other fragrances that include the aromachemical! As for IFRA and the EU laws, I find it baffling that they limit natural ingredients, while having no qualms about non-natural ones. The ceiling limit on ISO E Super is something like 21.7%, while jasmine is 0.7% and oakmoss is 0.1%. The EU who is really the one behind things now (since their rules are the law, and IFRA’s is not) is supposedly so concerned with things that trigger an allergic reaction, and yet, they don’t seem to care one whit about some of these super strong synthetics. I’ve never once had a reaction to jasmine or oakmoss, but ISO E Super? Hmmph. I ordered a sample of this due to all the love it was getting in the blogosphere. Your review makes me want to toss it into the unwanted pile, never to be tested. I would rather save skin real estate to worthier perfumes…like Lys Epona and Montale Patchouli Leaves.